Air101: Poor decisions lead to bouncing Mahan Air aircraft. Poor decisions lead to bouncing Mahan Air aircraft. 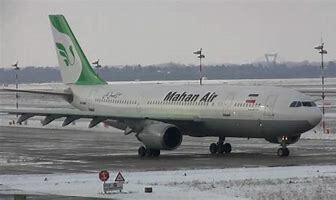 A report from the Civil Aviation Organisation of Iran blames poor decision making by the crew of a Mahan Air Airbus A300 aircraft that suffered a tail strike after bouncing down the runway three times on 6th June. The Iranian investigators advised that the crew did not execute a go-around after the first bounce which was a poor decision. The aircraft bounced two more times on the runway and struck its tail causing damage to the skin of the 27-year-old aircraft. The aircraft had 121 passengers on a flight from Asaluyeh to Tehran Mehrabad when the incident occurred. The investigators also say that the weather was clear, visibility good during the daytime landing, with just an 18knot headwind. The crew have been ordered to undergo further flight and crew resource management training, as well as recreating the incident in aircraft simulators to better understand the need for fast and effective remedial action.